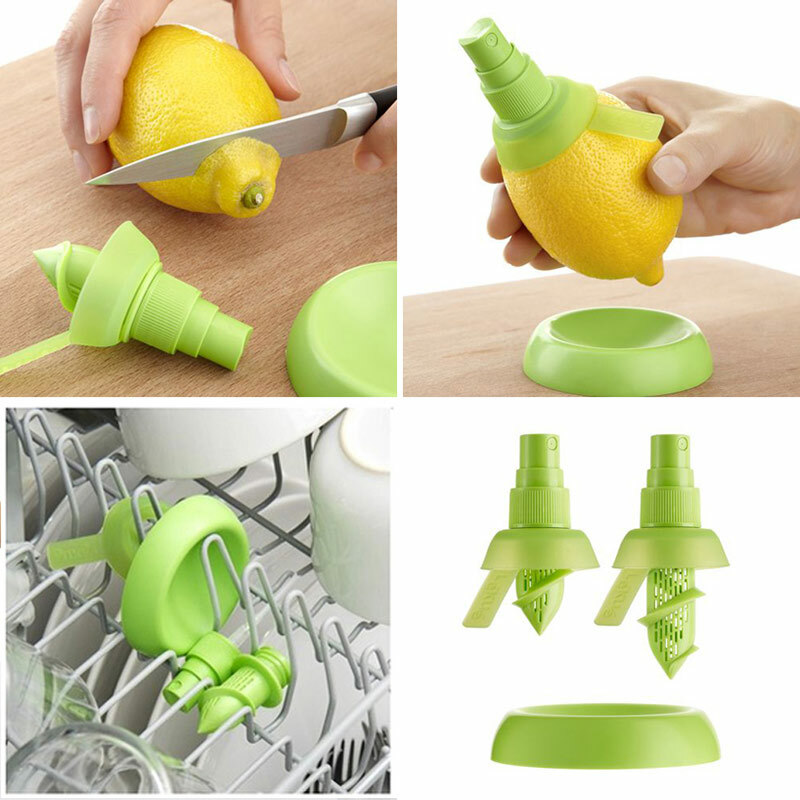 This handy tool turns an ordinary lemon (limes, oranges or grapefruit) into a sprayer so you can spray your dishes and drinks. Add a burst of fresh citrus to your cocktails, salads, seafood and more! Get every last drop of juice out of your fruit without having to squeeze them. Simply cut the top of a lemon or a lime, screw the twisted stem of the citrus sprayer into it, then spray. Easily add flavor to drinks and dishes. Mainly applied to soft flesh fruits, such as citrus, lemon, grapefruit, small melon etc. not suitable for hard flesh like apple, pear etc.